President Trump hasn’t had a lot of good weeks in his first seven months which explains why his public standing is well below historic norms (40% or less). But the last week of July may be his worst. Health care votes have lost 7 to 9 Republican senators for a range of measures and finally failed when three members voted against a scaled-down version. Republicans can only lose two to push something to a House-Senate conference. Major defeat. Trump’s Twitter tirade against Attorney General Sessions was mostly condemned as mean-spirited, belittling and unjustified. Most importantly, Republicans and conservatives shut him down. He looked weak. His addition of Anthony Scaramucci as Communications Director has started a public war between Scaramucci, Chief of Staff Reince Priebus (now former) and Chief Strategist Steve Bannon. Scaramucci may not be media ready, even if Trump likes the “all attitude” approach. Priebus is out, which may allow a “reset,” but it reinforces the sense of White House chaos. In an effort to save a House funding bill, Trump tweeted a ban on transgender individuals in the military. The goal was to stop paying for medical procedures, not open up another fight over a total ban. It may be popular with his base, but it reinforces an image of thoughtlessness. But the pièce de résistance of the week was Trump’s partisan campaign speech to 45,000 teen and pre-teen boy scouts and their chaperones. The speech was nearly universally panned as inappropriate (a word often attached to Trump) and required the Boy Scout’s executive director to offer scouts and their families an apology for the “political rhetoric that was inserted into our jamboree.” An audience made for inspiration got the cynical jokes and jabs. Although the President’s tone is appreciated by his dependable, but narrow base, Americans disapprove of Trump’s un-presidential conduct and claim it’s damaging the presidency. Seventy percent of the public, including 38 percent of Republicans, describe his conduct as “un-presidential” rather than “fitting and proper” (24%) as reported in the recent ABC News/Washington Post poll (July 2017). 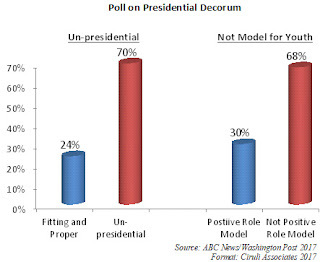 Important to the Boy Scout imbroglio is the data point that 68 percent of the public does not see him as a positive role model for young people. Trump and supporters will argue that his jobs efforts in Wisconsin and anti-gang initiative were successes last week. But, who would know about them with the flood of crises and controversies, most of which were personally started and sustained by Donald Trump. 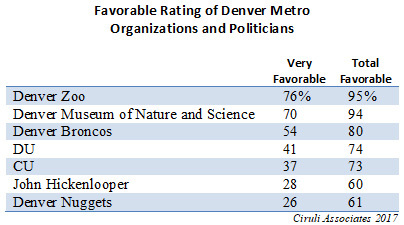 The metropolitan Denver public has a positive view of the University of Denver (DU) and the University of Colorado (CU) and they are closely matched in public opinion in the Denver area. In a voter survey conducted by Ciruli Associates in 2016, DU received a 41 percent “very favorable” rating, followed closely by CU with a 37 percent “very favorable” rating. The total favorability ratings (combining “very” and “somewhat” favorable) were 74 percent and 73 percent, respectively. A few more people were unable to rate DU (22%) CU than (18%), and CU had a slightly higher negative rating (9%) than DU (5%). One difference in perception of the two universities was their rating within individual counties in the seven-county metro area. Some of the variation is explained by differences in public awareness of the institutions and different negative ratings. 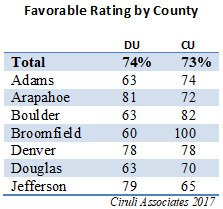 DU had a 9-point negative rating in Adams and Denver counties. It was not well-known in Boulder (38%) and Douglas (32%) counties. CU had a high negative in Douglas County (19%) and was not well-known in Jefferson County (26%). Although there was a partisan difference, with Democrats more favorably disposed than Republicans, both institutions received high favorable ratings from each party. In comparison to other organizations and leaders in the metro area, the schools were in the high middle range of favorability. They were not as high as major cultural facilities, but higher than some sport teams and the Governor. Both schools are well thought of during a time in which the public has generally low trust and confidence in most institutions. 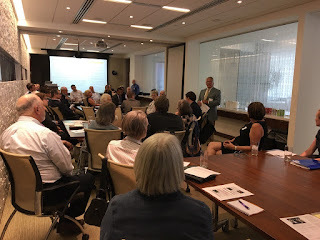 The telephone survey was conducted by landline and cell phones with 600 voters in the seven-county Denver metro area in May 2016 by Ciruli Associates. North Korea may be the most likely place for the next war to break out. 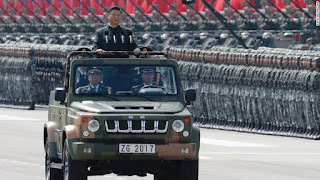 The American people are very concerned, and the Chinese military are ramping up activities along the 800-mile border to prepare for any crisis that might develop. 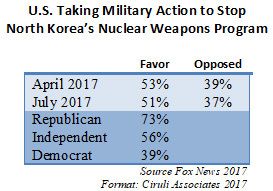 But actually going to war over North Korean weapons has only 51 percent public support and it is mostly through a partisan lens, with Republicans (73%) twice as likely to support war than Democrats (39%). Partisanship also affected the public’s judgement as to President Trump’s ability to handle the crisis. Only 22 percent of the public said they had a “great deal” of trust in Trump handling the crisis, but 40 percent said they had “none at all.” Not surprising, there was major partisan differences, with only 4 percent of Democrats having a “great deal” of confidence in Trump handling a crisis, but 52 percent of Republicans were confident. However, worry about a war was non-partisan. The public is mostly Twitter averse to Donald Trump’s daily barrage of tweets. Polls repeatedly show upwards of 60 percent of the public thinks President Trump should contain his Twitter habit. ABC News poll of July 18, 2017 reported that 68 percent of respondents described the President’s tweets “inappropriate,” 65 percent “insulting,” and 52 percent “dangerous.” Women are more critical with 78 percent citing his tweets as “inappropriate.” A Fox News poll reported in late June that 71 percent of the public believed the tweets were hurting the President’s agenda. Trump’s rationale for ignoring the advice has been that it allows him to communicate directly to his followers around the “Fake News” and in a modern fashion. But his latest tweets are well beyond trying to avoid “Fake News” and talk directly to followers. In fact, he’s not avoiding the press, but giving long, unscripted interviews to the New York Times and Wall Street Journal, clearly “Fake News” outlets in his view. Notice it opened with “my Generals” and closed with “Thank you” not often seen in government official language, but close enough. The public is divided as to if his tweets are official government policy or just presidential musings. Clearly, they are becoming more official. Also, expect more tweets as Trump attempts to run the government from his office, bedroom, etc. as basically a one-person show. 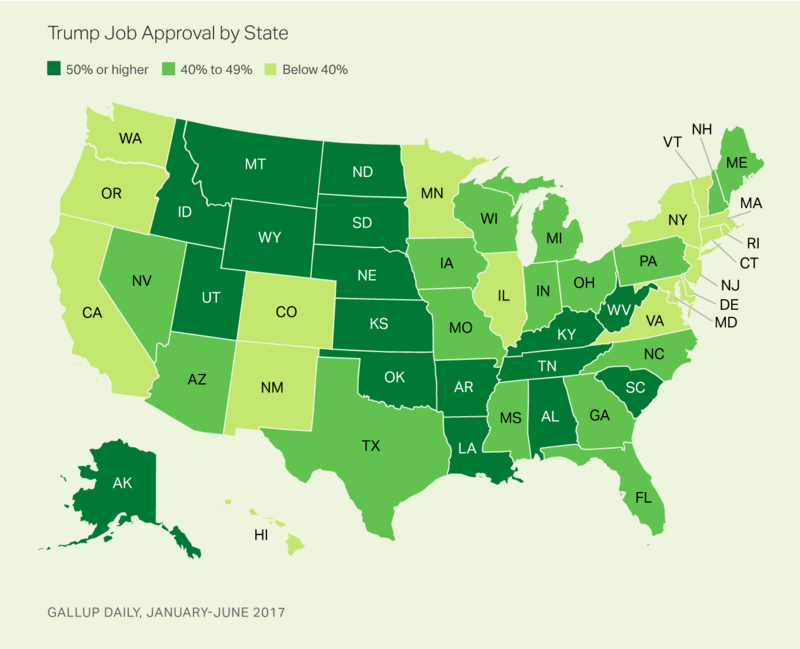 A new Gallup poll of Donald Trump’s state-by-state job approval offers a few surprises. In spite of the wild ride of the first six months and the general decline in Trump’s approval rating to 40 percent and lower, a host of states have residents that give him approvals above 50 percent. 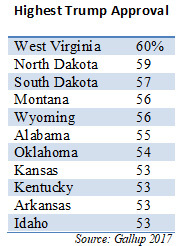 Many of the 17 states that offer more than 50 percent approval are in the High Plains and Mountain West. In fact, more are in the west than the south. Also, Trump gets better than his average (40%) grades in the states key to his victory: Michigan (42%), Pennsylvania (43%), Wisconsin (43%), plus Florida (42%), Iowa (43%) and Ohio (47%). Hence, Democrats still have a “Blue Wall” problem in spite of Trump’s controversies. New England and the coasts dominate the states providing Trump’s lowest approval rating. Vermont is the home of Bernie Sanders and Massachusetts is the only state to vote for George McGovern. 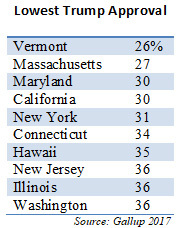 Colorado with a 38 percent is one of the 17 states offering the lowest level of approval. Democrats clearly are planning on another major campaign against Mike Coffman in 2018. Four of them (now three) have already indicated they are running. Why? 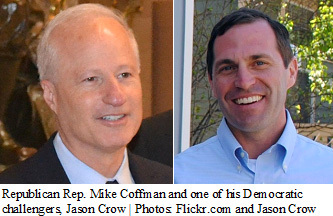 Coffman’s track record in crushing well-thought-of and well-funded Democrats is beyond debate. In the 2014 off-year election, he defeated Andrew Romanoff by 25,000 votes and last November, as Hillary Clinton was winning his district, Coffman slammed local legislator Morgan Carroll by 30,000 votes. But Jason Crow, the designated establishment candidate, is leading the field and appears to have the national party’s backing. He is dealing with carpetbagger issues, but likely will be able to manage it with a move into the district. Political analyst Floyd Ciruli said it’s hard to determine if a lack of residency in a district produces a drag on a candidate’s chances of winning an election given all the factors that go into an election. In cases like Ossoff and Andrew Romanoff, who moved into the 6th Congressional District to unsuccessfully challenge Coffman in 2014, the main result is it puts Coffman’s credibility as an Aurora resident front and center. But Democrats are motivated by what appears to be the unprecedented low approval ratings of President Trump. The general rule is that approval ratings at or below 40 percent produce very significant swings in congressional races. Gallup reports that Trump has 50 percent or higher ratings in 17 states and he is below 40 percent in an equal number of states. Several states with the highest Trump ratings surround Colorado: Utah (50%), Wyoming (56%), Idaho (53%), Montana (56%), Nebraska (52%) and Kansas (53%). But Colorado at 38 percent is a part of Trump’s worst 17 states, with western states Oregon (38%), Washington (36%) and New Mexico (37%). National Democrats believe if there is at least a 24-seat wave in their favor (they need 24 to win the majority) that Mike Coffman’s seat is likely to be one of them. Their calculation demonstrates the power of national thinking on congressional strategy because by Coffman’s local performance, he looks nearly impossible to beat. Colorado Springs, a notoriously difficult community to raise taxes and fees, is planning on a stormwater fee increase November ballot issue to get the city out from under a nearly $500 million obligation to Pueblo County for 20 years worth of stormwater improvements. The City argues that unless they raise fees, all services and obligations, such as police and parks, will be starved for revenue. Ciruli says while it's not scientific, it's a "general truism" in the political world that a ballot measure must poll high before campaigns begin, because support can be expected to fade during the election season. He also notes that if developers, builders and contractors turn out to be the chief funders of the "vote yes" effort, it might engender skepticism. "You just had a council race that showed developers aren't exactly running things at the moment," he says, referring to only one of five candidates backed by developers winning Council seats in the April 4 city election. "The general rule is if these things have any opposition they tend to go down." There's been no early signs of organized opposition. divided times in our country‘s history, which is why the 2018 midterm elections are more important than ever. There is potential for a major shift in party and ideological control in Colorado with the Governor’s impending term limit, primaries in both parties and unprecedented campaign expenditures. Also, several congressional seats are now open, primaries are expected, and other districts will be contested along the state constitutional offices and state legislative seats. 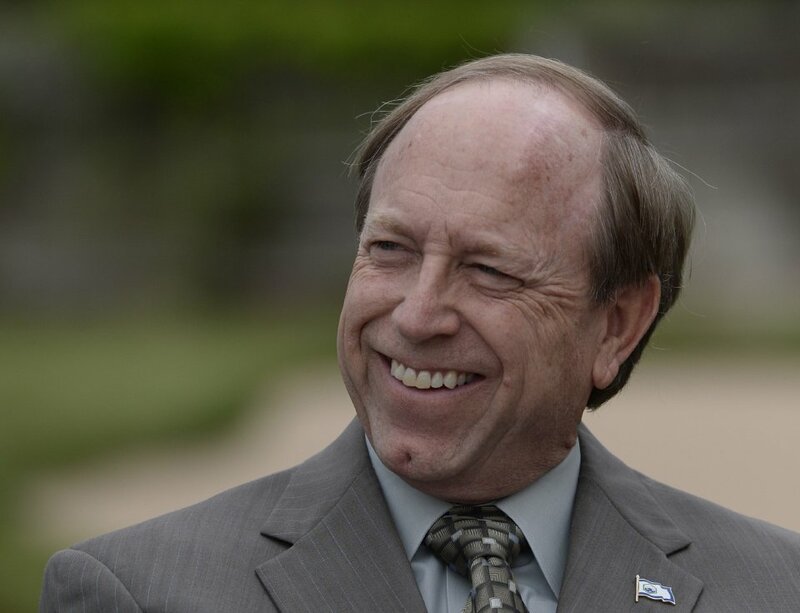 Floyd Ciruli will talk possibilities and the paths to Republican and Democratic outcomes for our state, and what that might mean for the water community. Hillary Clinton carried the Denver metro area’s seven counties by 58 percent, or more than 300,000 votes. Increasingly Democratic, Denver gave her 74 percent of its massive vote, or 182,000 more over Donald Trump, which equals to more than half (57%) her metro total vote margin. Not surprising, liberal Boulder, which due to residential growth limits, represents a declining portion of the metro electorate, delivered 70 percent of its vote for Clinton. Only Douglas County gave Trump a majority (55%). He lost the other six metro counties, including what used to be Republican anchors, then at least leaning – Arapahoe and Jefferson – no more. The latest voter registration data shows that Republicans will have a major challenge winning, or at least closing the gap, in metro Denver. Overall, registration is giving Democrats a ten-point advantage, 36 percent to 26 percent over Republicans. Winning a significant portion of unaffiliated voters in Arapahoe, Jefferson and even Adams will be essential. 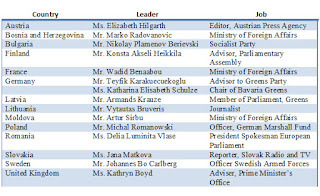 Floyd Ciruli led a discussion with fifteen young leaders from Europe sponsored by the U.S. Department of State International Visitor Leadership Program. 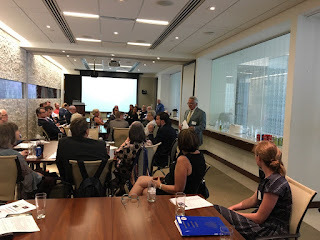 WorldDenver hosted the event and approximately 40 of its members joined the discussion. The EU has had a respite from overt attack, but faces major challenges and turmoil. Nationalist and populist sentiments remain strong. One of the reigning theories of Western foreign policy since the Nixon era opening to China (1971) was that commerce and contacts would foster a Chinese evolution from authoritarianism to a more pluralistic society. Hong Kong’s return to China in 1997 was wrapped in a “One Country, Two Systems” rhetoric that made it the model of what the evolution could produce – namely, independent courts, an efficient civil service and a free, competitive press. 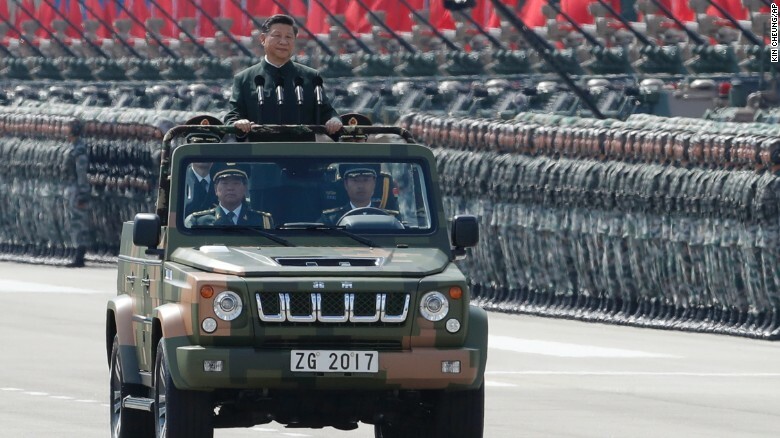 But China’s evolution under Xi Jinping is toward more centralization and authoritarianism with liberalization seen as a threat. Unfortunately, democracy in Hong Kong in recent years has not performed well in providing for critical municipal improvements for transportation, housing and land development, and education. Rather, political energy has been focused on procedural voting issues for the city’s chief executive. But China has made clear that neither the process nor the city’s policy will become more democratic or independent. Hong Kong’s local political gridlock has allowed Beijing to argue that democracy is a flawed and failing system. During Xi’s first Hong Kong visit to the swearing-in of the new Beijing-favored chief executive, he made clear that the future of Hong Kong was an internal matter related to China’s sovereignty and security. The future of Hong Kong’s democratic features and favored status will be greatly influenced by the test local democracy is facing. Can it reconcile its resistance elements to the more Beijing-leaning governing class and address basic problems or is decline of effective governance and quality of life its future? The opponents of mainstream news have won the war. Legacy media has lost its credibility with most voters after years of attacks from right- and left-wing pundits and alt-news outlets. The latest PBS NewsHour/NPR/Marist poll reports that only 30 percent of Americans say they have a “great deal” (8%) or “good amount” (22%) of trust in the media. It joined Congress at 29 percent. Surprisingly, the intelligence community had 60 percent trust. About half of Democrats (56%) had trust in the media, but only 9 percent of Republicans. More than a third of the public (37%) and most Republicans (59%) said they had no trust in the media. Rush Limbaugh and his colleagues on talk radio have been attacking the credibility, objectivity and factual accuracy of what he calls the “drive-by” media for nearly three decades. The job is done. Donald Trump is only tossing more dirt on the body as far as his Republican base is concerned. It is ironic, however, that Trump and the new level of attacks have energized the media’s viewers and subscribers. Revenue is up and the defense of the First Amendment is now a top corporate priority. 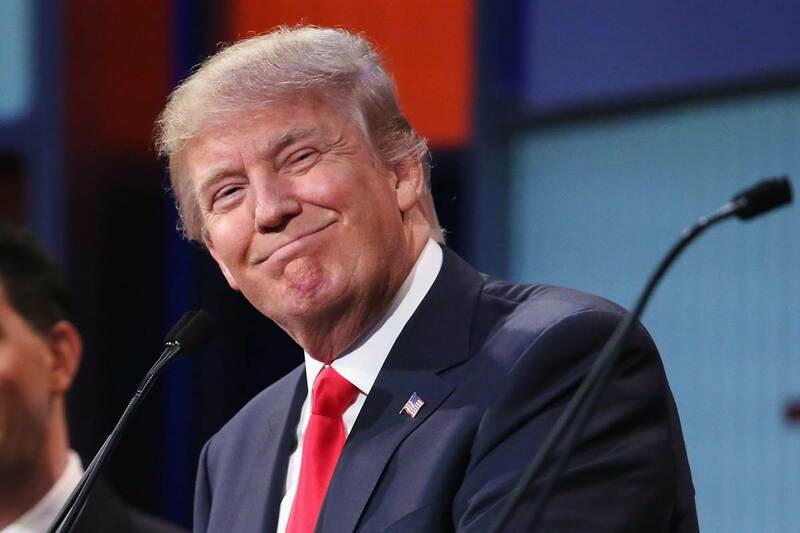 Trump has indeed achieved his goal of damaging the believability of mainstream media. But he has also empowered and emboldened them to keep up the tough scrutiny. KOA interview with April Zesbaugh and Susan Witkin on July 11 generated a blog reflecting the radio comments. The Democratic Party primary for governor is full of surprises. Congressman Ed Perlmutter’s withdrawal only three months after his high-profile entry into the race is another big surprise after Jared Polis’ surprise June entry into the race. Congressman Polis changed the nature of the primary from a few million dollar competition to a $5 to $10 million dollar primary race. It tremendously ratcheted up the competition and made fundraising for candidates that can’t self-fund mostly non-stop for the next year (primary June 26, 2018). The race may also turn negative as candidates try to distinguish themselves and compete for the party interest groups. Competition for endorsements and constituents will likely lead to a robust round of interest groups and identity politics and a general drift to the party’s ideological left. 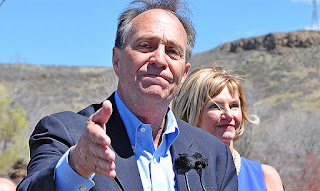 Perlmutter got in the race after former Senator and Interior Secretary Ken Salazar declined to run. Perlmutter was considered the establishment candidate and frontrunner. It is unlikely the Democratic Party establishment wants to allow Polis to become the nominee. They doubt he can win the general election and many don’t like his politics or his personality. Expect another surprise. Who else may enter the race – a celebrity, an independently wealthy candidate or a person with a commitment from the establishment to help finance her or his campaign? Seventy days after celebrating his first 100 days in office, Donald Trump still holds at about 40 percent approval rating. In spite of the Russian investigation, a lack of progress on health care legislation and dozens of grudge tweets, his overall approval has changed little since the April 31 measure, which was 43 percent. But, a solid majority of Americans still believe he is only marginally fit for office. In a Wall Street Journal/NBC poll, Americans were asked about Trump’s leadership qualities. His rating on honesty and trustworthiness, knowledge and experience, and temperament range from more than two-to-one to five-to-one “very poor” over “very good.” More than half (52%) of the public do not believe he has the right temperament for the job. However, Trump has not lost his core Republican supporters. They believe he is mostly producing change and helping the economy. He is already running for re-election with a laser-like focus on jobs in the Midwest. And the Democrats have not had a successful 70 days with the Russian investigation out of the news and losing a series of replacement House elections. The Republican health care repeal and replace bill, which passed the House (May 4, 2017), stalled in the Senate just as senators headed home for the 4th of July break. Polls have not been good for the bill. In an NPR June 28th poll, only 17 percent of the public approved of the bill. Only 35 percent of Republicans support the bill. That pattern was similar in a spate of national polls released starting June 20. Overall support is below 20 percent, and less than two-fifths of Republican identifiers offer support. for action. They promised and most campaigned on repeal for over seven years and four campaigns. And unless the revenue elements of the bill are resolved, tax reform is much more difficult. Most importantly, President Trump’s and their agenda and image of breaking the gridlock are seriously damaged. Unfortunately, to pass a bill, the Republicans need 50 Senate votes from many senators who do not want a controversial bill to run on in 2018 or 2020, which will likely affect voters’ health and pocketbooks. 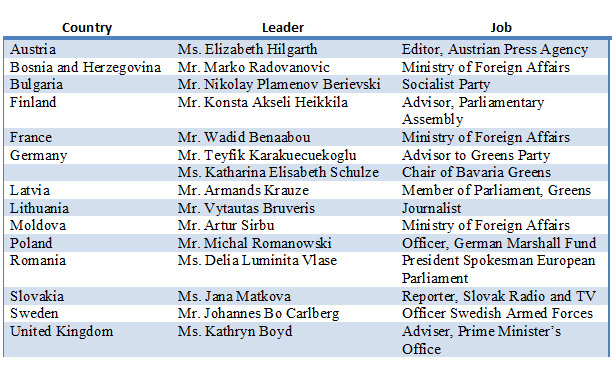 A small group of super conservative senators want less entitlement and more reform in the bill. Interests groups, especially health industry, patient advocates and governors, have mobilized and are pressuring senators for more entitlement spending. It made for a tough 4th of July break and possibly no repeal and replace in the near future. 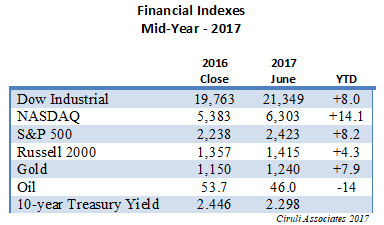 The Dow Industrial is up 8 percent during the first six months of 2017. The 21,349 close is only slightly behind the high of 21,528 hit on June 19. Dow is joined by a host of indexes showing their best years since 2013 (the S&P 500 up 8.2%). 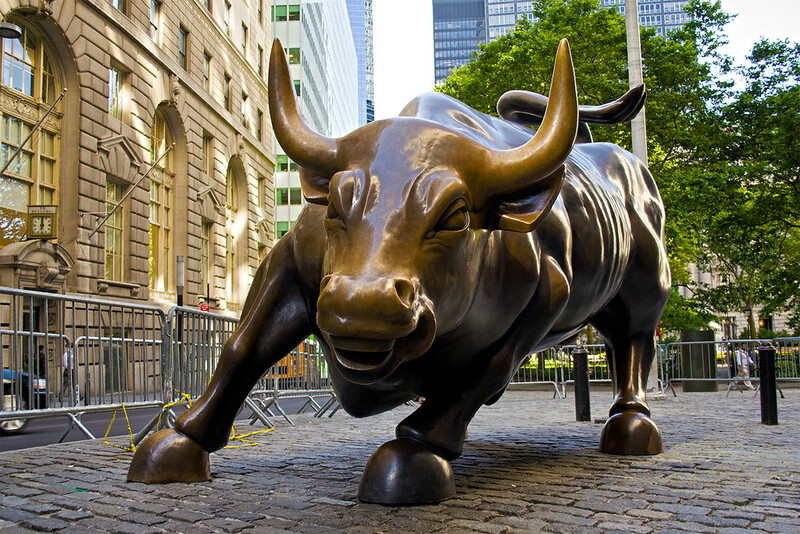 The tech-heavy NASDAQ Composite was up 14.1 percent, its best year since 2009, the post-great recession recovery. The strong start has been worldwide. The STOXX Europe 600 was up 5 percent and the Nikkei up 4.8 percent. The rally picked up markets in Chile (up 12%), Spain (up 12%) and India (up 16%). Strong earnings, growing economies and until recently, accommodating central banks. But the Dow, S&P and NASDAQ all posted a final down week. Central banks have begun tightening money supplies led by the Feds and President Trump’s political troubles continue with health care reform removed from a Senate vote on the last day in June. Donald Trump’s foreign policy is disruptive. There have been bouts of isolationism, protectionism, nationalism, and shifting allies and alliances in America’s history, but the breadth and depth of change in the administration’s first 165 days has been astounding. Disruption may have benefits, but it definitely has costs, and Trump witnessing some of the blowback at the G20 Summit in Hamburg. Not surprising, Trump is especially unpopular in Europe. In fact, attacking Trump is an essential election strategy in Germany and appreciated by voters in much of the continent. 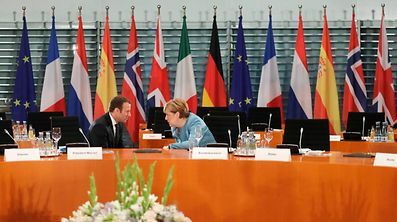 Angela Merkel and Emmanuel Macron are organizing a European position at the summit on global issues of importance to them, such as climate change, trade and the rule of international law, each in contradiction with Trump’s position and perceived preferences. The latest Pew Research Worldwide survey shows Trump’s weakness with European public opinion as he goes to Hamburg. 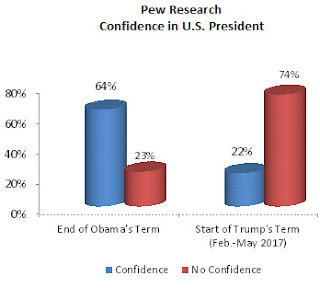 A massive shift of 51 percent in “no confidence” in Donald Trump from the end of Barack Obama’s term in just the first five months of his presidency in a 37-nation survey just published. In G20 allied countries, Trump has especially negative ratings. 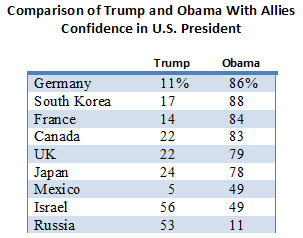 Allies Germany, France, United Kingdom, Japan and South Korea have 50 to 80 point drops in confidence from Obama to Trump. Neighbors Canada and Mexico also don’t have confidence. Mexico wasn’t that high on Obama either. Only in Israel and Russia of the 37 countries tested did Trump receive more public confidence than Obama. Trump will find that his G7 lectures in June are less welcomed and his policy views on the defense in Hamburg. Trump and Vladimir Putin are close in their confidence rating at the low end, with Putin at 27 percent and Trump at 22 percent. 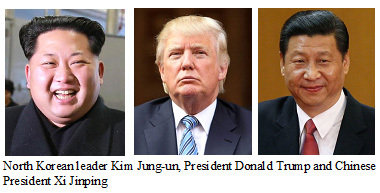 Although negative public opinion will not necessarily disrupt long-term relationships, allies support and international solidarity will be much harder for the U.S. and President Trump to achieve. The national generic ballot test shows that Democrats have an eight-point advantage. And in four congressional races to replace Republican congresspersons who joined the Trump administration, Democrats managed to improve their margins from last November’s election by ten points in the replacement election (62% to 52%). But still no win. Hence, no bragging rights or momentum. And, continued doubt that Donald Trump’s low approval rating will translate into gaining the 24 House seats the Democrats need to put Nancy Pelosi back in the Speaker’s Chair. One clear message from each of the four races is the vulnerability of the Washington D.C. Democratic establishment. Nancy Pelosi, in particular, is the target of Republican campaign consultants who describe Democratic candidates as a vote for Pelosi. After the Georgia race, there were calls for her to resign. She refused. Pelosi has been a Democratic liability since she lost her majority in 2010, but she is the master of her caucus. She understands Democratic identity politics, its narrow issue agendas, and the special interests and eccentric billionaire fundraising sources. But, caucus politics does not translate well to swing congressional districts.